Leg 6 leaders PUMA Ocean Racing powered by BERG have today bought themselves some valuable miles against their closest challengers, Team Telefónica and CAMPER with Emirates Team New Zealand, after the chasing duo closed to within two miles yesterday. PUMA made the best of a move by the top three boats towards the Brazilian coast over the last 24 hours, picking up assistance from northerly currents and a zone of wind acceleration closer to the shore to pull out a lead of 30 nautical miles (nm) at 1000 UTC today over second placed Telefónica. After spending most of Sunday with their hearts in their mouths watching both CAMPER and Telefónica close them down, the PUMA crew -- headed by American skipper Ken Read -- saw their speed rocket close to 20 knots after passing the latitude of Fortaleza to the north east of Brazil. 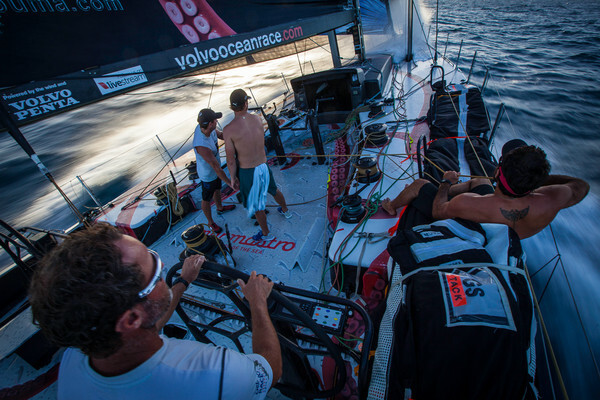 PUMA crossed the Equator at 0840 UTC -- their fourth and final crossing of this edition of the race -- and must now protect their lead through the Doldrums, a band of fickle breezes located around 100 nm north. Telefónica and CAMPER both crossed the Equator at 0910 UTC in second and third respectively. 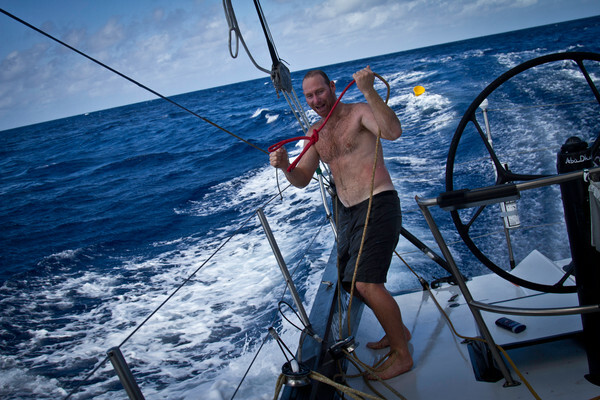 Walker said he hoped to be able to make further gains to get within striking distance of the leaders later in the leg when the fleet will engage in a 1,000 nm trade wind drag race to the Caribbean. 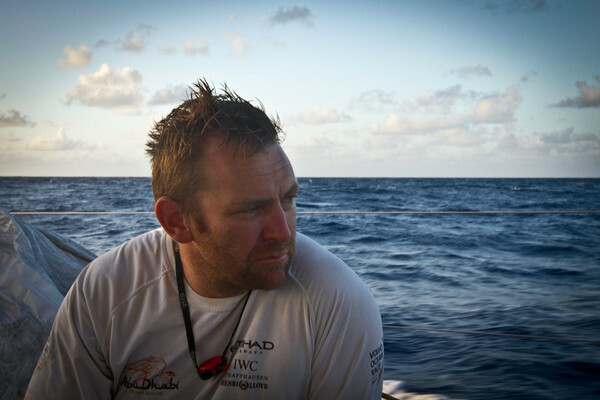 “Generally we’re losing a couple of miles per sked but then we’re always in a lot less wind. Hopefully we’ll have made up that distance in the next few days,” he said. With any Doldrums crossing generally throwing up opportunities for the boats playing catch up, Walker said he was hopeful of making gains on the leaders soon after the Equator. “All we have to go on is models and satellite pictures which might not necessarily tell the right story,” Walker said. “It’s still the Doldrums, there could still be a period of the boats slowing down and a lot of storm activity depending on what time of the day you get there. “I’m sure something’s going to happen but relative to the Doldrums we’ve seen in the race so far it looks reasonably inactive. Maybe we’ll just sail straight through and hook into the north east trades and be off. We’ve got to prepare for anything,” Walker said. 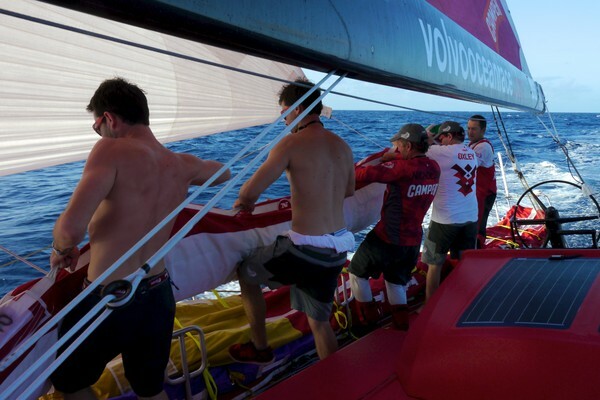 At 1300 UTC today PUMA’s lead was 31 nm over second placed Team Telefónica who were 9 nm ahead of CAMPER in third. Abu Dhabi remained in fourth 48 nm behind CAMPER with Franck Cammas’ Groupama sailing team in fifth, 142 nm off the lead. 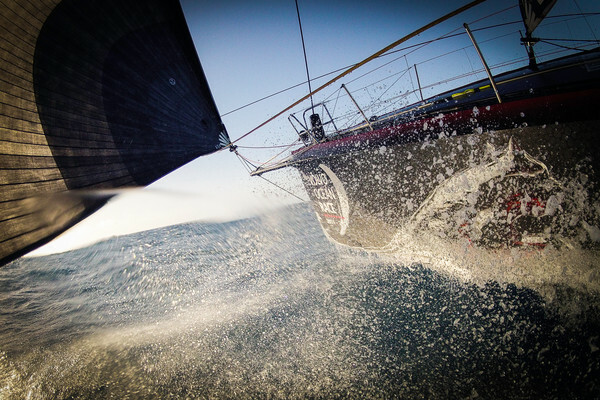 The leading boats are expected to complete Leg 6 from Itajaí to Miami on or around May 9.